Permaculture is a philosophy based on common ethics of sustainable cultures throughout history that have designed settlements according to nature's patterns and lived within its bounds. As a movement that has been building momentum for the past 40 years, it now is taking form as a growing network of sites developed with the intention of regenerating local ecologies and economies. 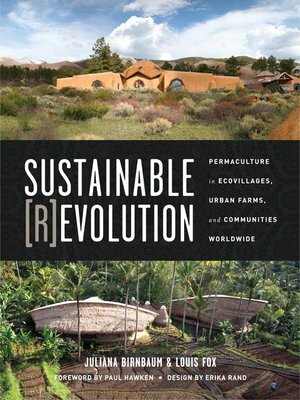 Permaculture strategies can be used by individuals, groups, or nations to address basic human needs such as food, water, energy, and housing. As a species, humans are being called forth to evolve, using our collective intelligence to meet the challenges of the future. Yet if we are to survive our collective planetary crisis, we need to revisit history, integrating successful systems from sustainable cultures. To boldly confront our position on the brink of the earth's carrying capacity and make changes that incorporate the wisdom of the past is truly revolutionary.